Home Bikes Royal Enfield showcased RE Interceptor 650 and Continental GT 650 in India At Rider Mania 2017. 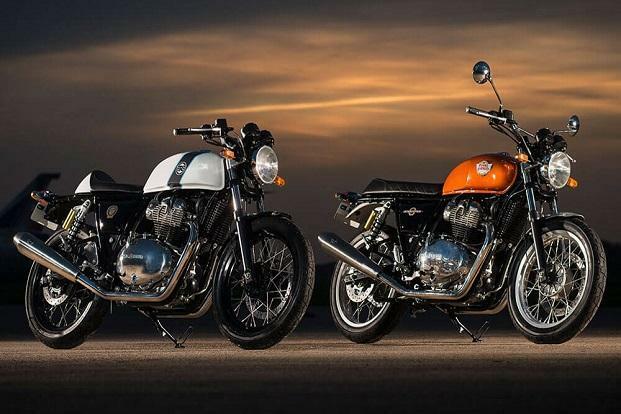 Royal Enfield Unveiled their two new concept motorbike in the US and also seen in Rider Mania 2017 in Goa, Name “Royal Enfield Interceptor 650 and Royal Enfield Continental GT 650″. Royal Enfield has finally taken wraps off their new 650cc motorcycles. Called Interceptor 650 and Continental GT 650 on Sunday, these two will be Expected launched in April 2018. Powered by an all new engine, both the motorcycles were recently spotted in California while they were out on a TVC shoot. 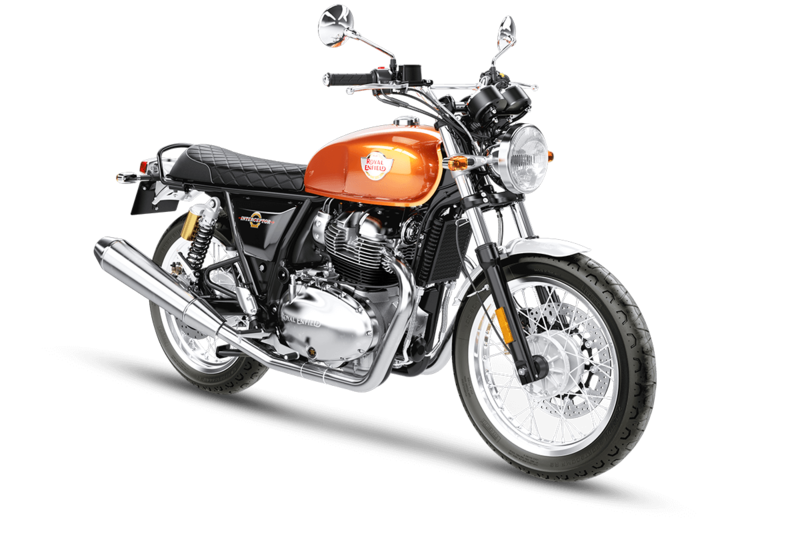 Royal Enfield Interceptor 650 is an easy-to-ride, relaxed bike like the Triumph Bonneville and retains the classic of 60’s motorcycle. It will be direct rival of smaller twin-cylinder bikes like the Harley Davidson Street 750. 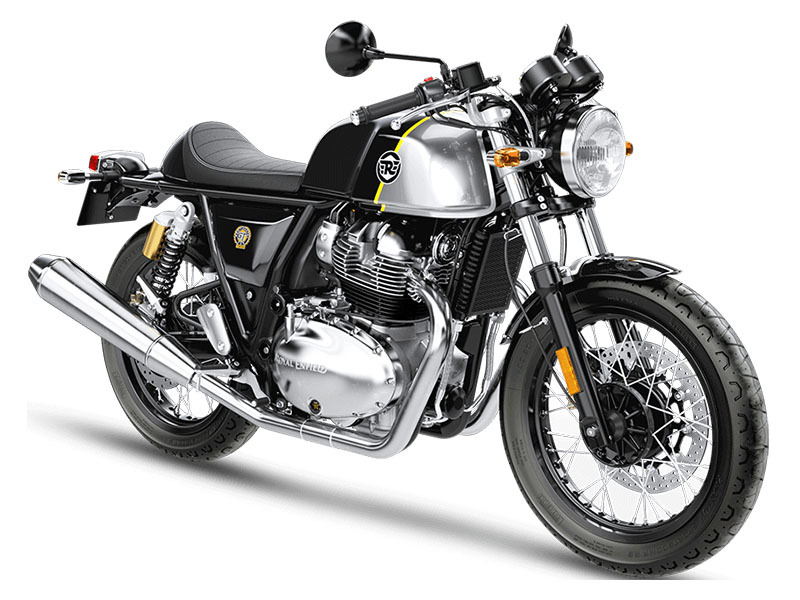 On the other hand, Royal Enfield Continental GT 650 can be an alternative option in the market for those who like the sportier motorcycle like the Harley-Davidson Street Rod. After the two, there will be many more RE motorcycles to be launched with this engine in the future. Expect a Thunderbird 650 and a Himalayan 650 as well. The motorcycles are powered by an all-new 650cc, air-cooled, parallel-twin engine and have an an oil-cooler for better performance. The fuel injected motor claims to deliver 47Bhp of power at 7,100 rpm and a peak torque of 52 Nm at 4,000 rpm. Both, the Interceptor 650 and the Continental GT Twin, get a conventional telescopic fork, with a single disc up front and a smaller disc at the rear. ABS is standard on both motorcycles and they also get gas-charged twin shock absorbers with a piggyback reservoir. A double-cradle tubular steel frame is also common between them and they sport identical upswept twin tailpipes by S&S. Their chassis has been developed from scratch by Royal Enfield’s UK Technology Centre and Harris Performance. Both the bikes also weigh less than 200kg. The bikes will have no direct rival, but with an expected price tag of between Rs 3 lakhs and Rs 3.5 lakhs, these bikes will go against the KTM 390 Duke and Kawasaki Ninja 300 in India.